Star Wars to me, is a movie, or a series of movies, that changed my life ever since I was a 5 year old and I went to see The Phantom Menace in theaters, with my mother. I am now 18, and I can say with all sincerity that it's one of the greatest movies ever released in history. Many might say that it's only true for the Original Trilogy and that the Prequels were horrendous, but I respectfully and fundamentally disagree with them. 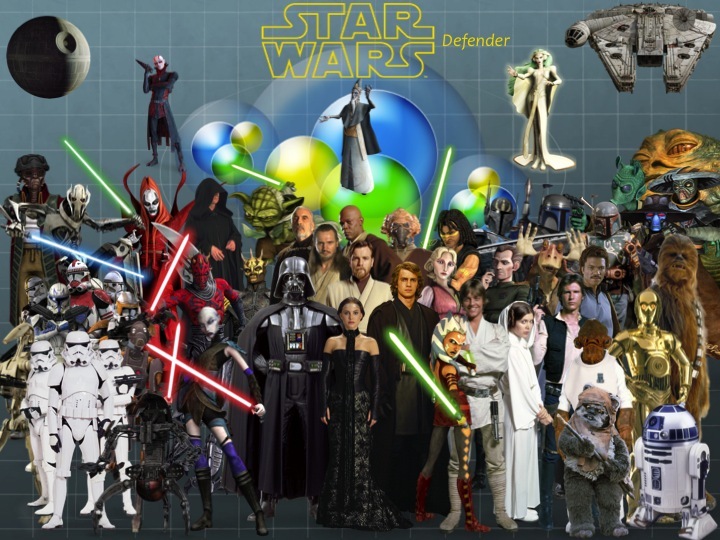 If anything, I think that the Prequels told the other part of George's story, and gave the same things that we loved from the Originals: the Lightsaber fights, the Spaceships, the epic struggle between good and evil, the search for the divine, a gigantic universe filled with thousands of planets, civilizations, and species. It's one of those stories that more than one generation has enjoyed, and from the look of the new Disney deal, more generations will enjoy the story. As Dave Filoni, the supervisor and director of Star Wars: The Clone Wars said, ''Star Wars Will Be Forever''. How can blame Filoni, or by that matter George Lucas, that potentially 100 years from now, people will still enjoy this movies the way we do? Wow, my story is remarkably similar! I too was 5 when I first went to the theaters and saw The Phantom Menace with my Mom and Nana. John Williams' spectacular music and The Duel of the Fates sequence, the underwater bubble city of Otah Gunga,the beauty of Naboo and Coruscant, it all blew my mind. 1999. The year that changed me forever. Fox Fanfare. Blue letters. And then - STAR WARS in bold yellow lettering. Starships. Lightsabers. Jedi Knights. Battle Droids. Is that...legal? I will make it legal. These images, music, quotes, and characters have grown more vivid in my memory each passing year as I continually revisit the first Star Wars film I saw, back in good ol' 1999: The Phantom Menace. The Phantom Menace introduced me into the fantastical world of Star Wars and my life would never be the same again. Nor would I want it to be. I saw the original three shortly after, and loved them as well. I eagerly anticipated seeing Episodes II and III, and they only strengthened my love for Star Wars. It's nice to see a fellow fan who grew up as kid on The Phantom Menace! You've done a great job with your blog.